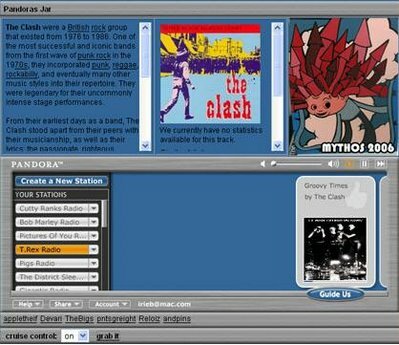 Pandora's Jar lets you save streaming Pandora tracks as MP3s. A button called Grab This Track is added to the Pandora interface that lets you save one track at a time, or enable cruise control to grab all the tracks. The setup instructions are a little complicated, but you can set up a batch file to do it for you. It's also possible to integrate Last.fm so you can see artist bios, album art, and other track information. Like similar MP3 downloading services, there's a quasi-legal justification for using Pandora's Jar: it's simply a timeshifting tool like a VCR.